One civil engineer tells us how drinking water and wastewater can overcome their low scores. No one wanted to earn a D while they were in school, so it’s not surprising that we would raise an eyebrow when hearing the drinking water and wastewater infrastructure in the United States recently has been rated a D and D+, respectively. So how did this grade come to be? Unfortunately, the 2017 Infrastructure Report Card’s highest rating was a B for rail, and bridges, ports and solid waste all earned a C+. Aviation, dams, drinking water, inland waterways, levees and roads received a D; energy, hazardous waste, public parks, schools and wastewater received a D+; and transit earned a D-. Specific to the pump industry, drinking water and wastewater is obviously something all Americans should be concerned about, says Rebecca Shelton, a civil engineer who has worked with utilities for close to 20 years and was part of the ASCE committees for these two areas of the report card. Pump industry experts need to work with the owners and the clients to help them understand that choosing the lowest life cycle cost—and “how to design for reliability”—should be the paramount objectives, she said. The United States uses 42 billion gallons of water a day to support daily life from cooking and bathing in homes to use in factories and offices across the country. In total, there are approximately 155,000 active public drinking water systems across the country. Most Americans – just under 300 million people—receive their drinking water from one of the nation’s 51,356 community water systems. Shelton agrees that the investment need is critical. “Infrastructure owners and operators must charge, and Americans must be willing to pay the cost of improving, operating and maintaining the facilities,” says Shelton. According to the American Water Works Association, upgrading existing water systems and to meeting the drinking water infrastructure needs of a growing U.S. population will require at least $1 trillion. Nearly 240 million Americans—76 percent of the population—rely on the nation’s 14,748 treatment plants for wastewater sanitation. 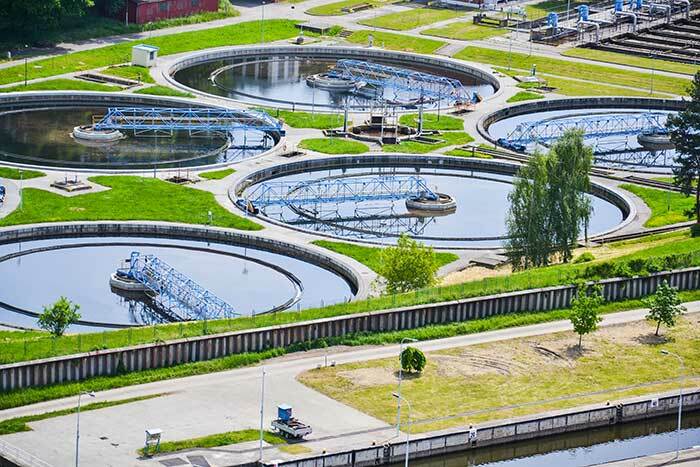 By 2032 it is expected that 56 million more people will connect to centralized treatment plants, rather than private septic systems—a 23 percent increase in demand. In the U.S., there are over 800,000 miles of public sewers and 500,000 miles of private lateral sewers connecting private property to public sewer lines. Each of these conveyance systems is susceptible to structural failure, blockages and overflows. The U.S. Environmental Protection Agency (EPA) estimates that at least 23,000 to 75,000 sanitary sewer overflow events occur in the United States each year. An estimated $271 billion is needed to meet current and future demands. So, what can the pump industry do to help improve these infrastructure needs? It’s imperative that the pump industry think long term and continue to make improvements to how the systems work. “Anything they can do to continue to improve the systems will go to continue protecting public life and safety,” she says. Jennifer King is a managing editor for Pumps & Systems magazine.